Since graduating with my Bachelor and Master of Science degree from Western Illinois University in 2004, I have been providing speech and language services to a wide variety of populations. As a graduate student, I worked privately with a three-year-old with autism. Sitting on the floor, in Harrison's living room, I witnessed the benefits of parent collaboration. Generalization of skills occurred much faster because the therapy session focused on collaborating with Harrison's mom. Working with Harrison and his family provided me with a strong belief system of working collaboratively with the child, parents, and other professionals involved with the child. Upon graduation, my experience with Harrison was instrumental in my decision to begin providing private speech-language therapy with an emphasis on parent education. Upon graduation, I spent three years working in Northern Illinois for a special education cooperation. During that time, I discovered my passion of utilizing a multi-sensory approach. Because I worked in self-contained classrooms with children with significant needs, I realized an important lesson: regardless of the disability and/or the level of need, when it comes down to it, the child is a child. Every child deserves to be treated like they are the most amazing individual. Every child comes to the table with multiple strengths. 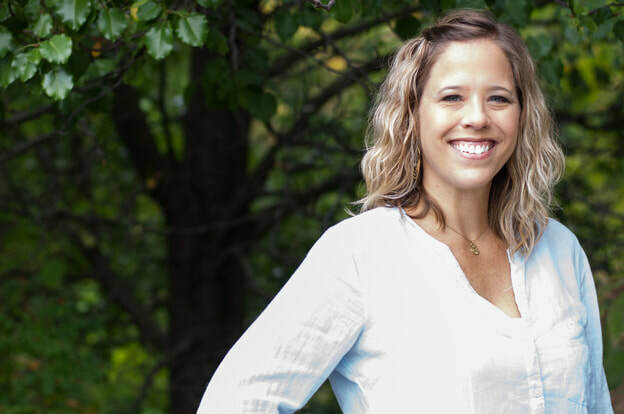 I relocated to the Kansas City area in 2007 and spent 7 years working for a local school district, primarily in the early childhood setting, while also continuing to provide private speech and language services to families. Working with some of the best therapists, teachers, and parents, I discovered the importance of play and following the child's lead. I wholeheartedly believe in the power of play. Because of that belief, 90% of my therapy occurs on the floor, playing with the child, engaging them in interactive, fun activities, often ones that the child has selected. 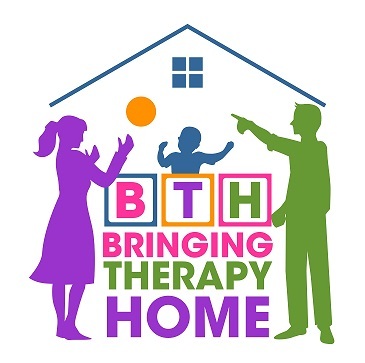 Bringing Therapy Home was established in 2013, following the birth of my first child, to provide therapy services emphasizing parent education and collaboration. Children make the most progress when a team approach is utilized and that team starts with the family. My passion is working with children with childhood apraxia of speech, children on the autism spectrum, and children with social emotional needs (dealing with anger, frustration, and disappointment). I am a mom to two children and believe every family should be a part of a strong community where they feel supported, encouraged, and loved. 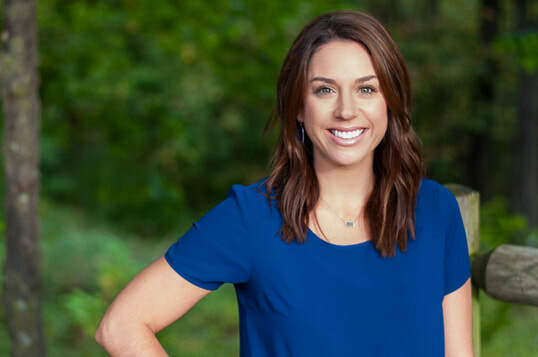 I am a licensed speech-language pathologist in the state of Kansas and Missouri, a certified member of the American Speech-Language-Hearing Association (ASHA), and one of four individuals to be Early Start Denver Model Certified in the state of Kansas. I believe every child is a musician, and together we can use music to help your child grow. I am a graduate of the University of Kansas, and a board certified music therapist. As a practicum student at KU, I worked with a variety of populations from early intervention to memory care in a skilled nursing facility. I found that my passion is working with children, and so after graduation I found an internship with Dr. Anne Watson in the Blue Valley Public Schools. 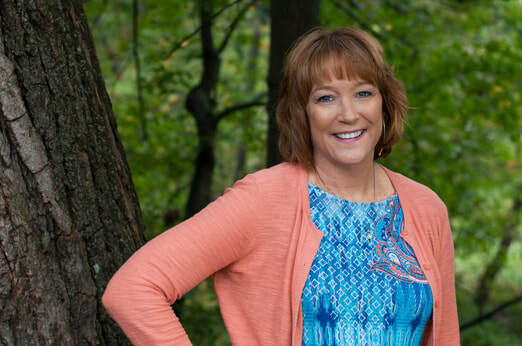 Interning in the Blue Valley Public Schools allowed me the unique opportunity to collaborate with exceptional professionals to serve children and adolescents ages 3-21. Music Therapy is defined by the American Music Therapy Association as, “the clinical and evidence-based use of music interventions to accomplish individualized goals within a therapeutic relationship by a credentialed professional who has completed an approved music therapy program.” Basically, I will use music to help your child achieve his or her functional, non-musical goals. No musical experience or talent necessary! ​I am excited to collaborate with you and your child’s team to create music and musical experiences that will open doors and help generalize skills! I love to collaborate with parents and help them to discover all the ways that music can be embedded in their child’s every day life. I cannot wait to make music with your child! I have known since high school that I wanted to be an occupational therapist and work with children and families. 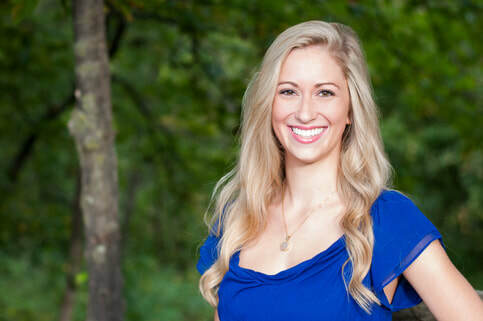 I pursued my dream attending the University of Kansas to receive my Bachelor’s degree and continued my journey at the University of Kansas Medical Center where I received my Master’s degree in occupational therapy. In both undergraduate and graduate school, I worked with children with autism in their home and community environments. As part of my graduate studies, I completed fieldwork experiences with Infant Toddler Services in the home, as well as within a school district. Throughout these experiences, I had the opportunity to work with children from birth through high school with a wide variety of abilities and areas of need. classroom designed for children with autism, and with kindergarten-5th grade students in the general education classrooms. While working with the school district, I discovered the importance and value of addressing the whole child. Every aspect of the child is important, and every part of their life plays a role in their development. I also came to truly appreciate working with a team of individuals in order to best serve the child: parents, educators, therapists, health professionals, and more. Each person has something valuable to add to the child’s life and development. In 2012, following the birth of my second child, I decided to stay home with my children. While I absolutely love being home with my babies, I have a passion for working with children and families. In late 2013, I was asked to join Bringing Therapy Home part-time. I was thrilled and honored to join an organization dedicated to empowering families and supporting child-development. I whole-heartedly believe in naturally embedding supports and interventions within the child’s day in order to best support the child. I also believe a child’s most important job is to play and that all things can be learned through play. I have been an occupational therapist for over ten years and enjoy working with children of all ages and with various needs. I have extensive training in sensory integration and I am certified to administer the Sensory Integration and Praxis Test. I am very comfortable working with children with autism and I am very grateful to have the experience of working at the Children’s Center for Neurodevelopmental Studies, founded by Lorna Jean King, one of the pioneers in the field of occupational therapy and sensory integration. Kinesiotaping, Brain Gym, Visual Deficits, and much more. My husband and I adopted two beautiful boys and I have been very blessed to be able to stay home with them, watching them grow and change everyday. Although I love staying home with Isaac and Lucas, being an occupational therapist is more a passion than a job and I am very blessed to have found Bringing Therapy Home and Marena Mitchell as a way to continue working with many amazing families and children. 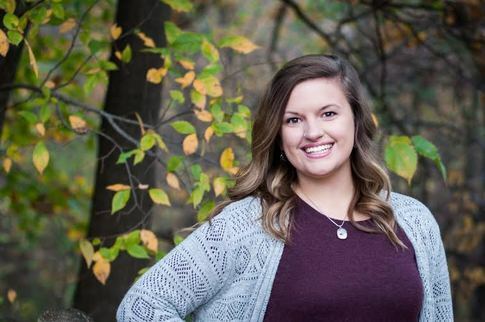 I began my journey as a Speech-Language Pathologist at Kansas State University where I received my Bachelor's degree and then continued at Wichita State University where I completed my Master's degree. My first experience with home therapy occurred during my undergraduate work. I provided individual services, group therapy and social skills groups for a child on the autism spectrum. This experience allowed me to understand the importance of group collaboration between all team members involved to increase the success of the child across all settings. During graduate school, I was a clinician for a language based preschool program as well as various social skill groups. I also provided articulation, language, and fluency therapy working with populations ranging in ages 3 through adult. I am currently the Speech-Language Pathologist serving an elementary school in our area. I provide services to both the general education population as well as a center based autism classroom. In this setting, I provide articulation, language, social skills, and fluency therapy. In addition, I also have the great opportunity to work part-time with Bringing Therapy Home. 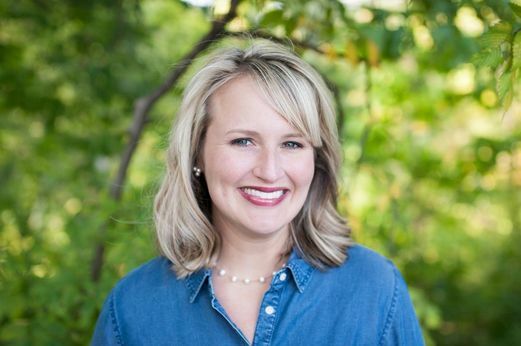 I am a licensed Speech-Language Pathologist in the state of Kansas and I am also a member of the American Speech-Language and Hearing Association (ASHA). After graduating from Benedictine College in Atchison, Kansas with a degree in biology, it took me a few years of working before I knew it wasn't the right fit. I researched many options and speech language pathology felt like my calling. 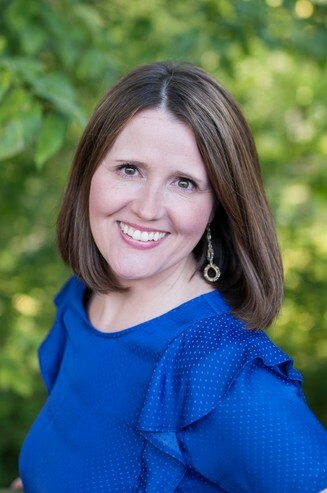 I completed my Masters in Speech Language Pathology from the University of Kansas in 2001 and spent the next 5 years working in the public school district in Lawrence, Kansas. My husband and I then moved to Houston, Texas for 5 years where I continued working in public schools and a private practice. We returned “home” to Kansas City in 2011, in time for the birth of our son Andrew. I have worked with a variety of ages throughout the years, from infants/toddlers to high schoolers. My experiences have taught me the importance of early intervention and a team-based approach to services with the focus on the family.“Everyone is a teacher and a learner,” was the school motto at the first elementary school that I worked at. I love teaching and even more, I love to learn. Every single child is different, so although I come to the table with knowledge and information about what may work, I am always looking for the best way to teach YOUR child. I learn new things from the children I work with every day. I love being a speech language pathologist and I feel very fortunate to work with the amazing therapists at Bringing Therapy Home. 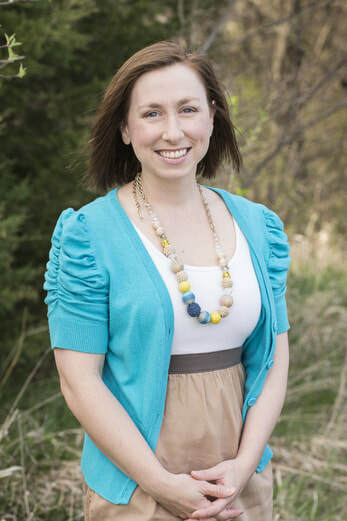 I am a licensed speech language pathologist in the state of Kansas, and a certified member of the American Speech-Language-Hearing Association (ASHA). From a young age, I saw the frustration and apprehension of a person unable to communicate effectively. I saw this up close, as my sister struggled with her speech. At age eight, I had many ambitions, yet no real idea of where life would take me, or the steps I would need to take to get there. I watched a speech-language pathologist from Infant-Toddler Services work with my sister for many months. Seeing the difference this early intervention made in her life, I told my parents I hoped someday I could have that job. Perhaps I was more focused on the fun toys she brought to our home and much less on the commitment and challenges ahead if that dream were to be fulfilled. Nevertheless, as I grew older and reached college, I declared my major, and I never looked back. I received my undergraduate degree from Kansas State University and went on to graduate school at The University of Kansas. I graduated in May 2016. Along the way, I have discovered I have a strong desire to work with children who are diagnosed with Autism Spectrum Disorder and other disabilities. In addition, I have experienced working closely with families, which I have found to be extremely rewarding. I am thankful for the jobs and experiences I had as an undergraduate and graduate student that pointed me in the right direction. They provided me with a clear picture of the road I want to travel. After receiving my Master’s degree, I worked for a local school district for a year. While there, I worked in early childhood special education classrooms and a classroom designed for children with Autism. In August of 2016, I joined the team at Bringing Therapy Home. I am so grateful to be a part of such a wonderful place that truly values strong collaboration with families and holds the belief that every child’s potential is unlimited. I am a licensed speech-language pathologist in the state of Kansas. I am also a member of the American Speech-Hearing Association (ASHA). I also work as a speech-language pathologist at The University of Kansas Health System where I work in pediatrics. I am grateful to be able to continue working part-time at Bringing Therapy Home and feel blessed to have found BTH and Marena Mitchell. BTH is a place where I am doing everything that I am so passionate about with amazing kids, families, and coworkers. I have a Bachelor’s degree in Occupational Therapy and a Masters in Special Education from the University of Kansas. I have been an Occupational Therapist for over 35 years working in various settings with children from birth to 21. The past 25 years I have worked in the local school district in an early childhood setting. I was fortunate enough to be hired in a district that shares my passion to work collaboratively with other team members. I believe that all team members have something to contribute to a child’s learning and we all learn from each other. Over the years, I have worked with children with a range of disabilities both in a home and community setting. I have worked in Special Olympic programs, developed a Girl Scout troop for children with autism, and provided respite care for children with disabilities. My years of experience have taught me that everyone - therapists, teachers, daycare workers, home providers, and parents must work together to help children grow and develop. I am excited to be a part of Bringing Therapy Home - working with therapists who have the same passion. 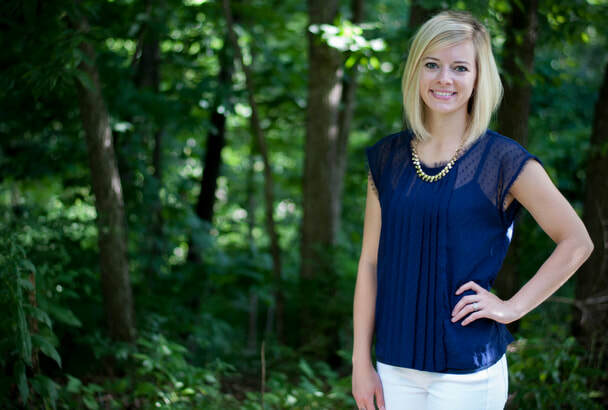 I am a licensed occupational therapist in the state of Kansas and Missouri, as well as nationally registered with a practice area of emphasis in pediatrics. I am also a member of the American Occupational Therapy Association (AOTA). I knew Speech-Language Pathology was right from for me from the very beginning. My education began at Kansas State University where I completed my bachelor's degree. Then, it was on to graduate school where I transitioned to University of Kansas for completion of my Master's degree. My career began at the University of Kansas Health System in 2010 where I specialized in evaluation and treatment of both adults and pediatrics. My clinical focus was infant feeding and swallowing in the hospital's Neonatal Intensive Care Unit. I also spent time in the Pediatric Intensive Care and Progressive Units. My special interests include Video Fluoroscopic Studies, thickening liquids, Gastrostomy tube weaning, and dysphagia associated with chronic illness and at end of life. Throughout my time, I grew a deep love for pediatrics of all ages. My interest for feeding and swallowing has grown vastly. I appreciate so much of how food is a part of our culture. It's how we celebrate, bond, cope, and love. When there is trouble with its development, it's a difficult situation. I want to be an avenue of direction, support, and growth for my clients and their families. Today, I continue to work in acute care at the University of Kansas Health System, but now also spread my time at Overland Park Regional Medical Center and of course, Bringing Therapy Home! Growing up I always knew I wanted to do something in the medical field helping others. I have a cousin that has Down syndrome and my grandmas both received occupational therapy services while I was in middle school for various reasons. After seeing all the love and therapy occupational therapists provided for them, I knew this was the career for me. I received my Bachelor’s degree in Nutrition Science at the University of Nebraska-Lincoln. I then attended Creighton University and graduated with my Doctorate of Occupational Therapy in May of 2017. Many of my fieldwork experiences involved children. I had rotations in pediatric mental health, early intervention, school districts, and even orthopedics. These opportunities allowed me to see children in many different facets of life. I currently work full time as an Early Intervention Occupational Therapist for Wyandotte County Infant Toddler Services. Here I work with children ages birth to three and have the opportunity to provide strategies to parents to help their children in their everyday lives. Earlier this year in April, I got my dog, Sloane, therapy certified. She has been to assisted living facilities, nursing homes, and schools. She loves to be around people and give occasional kisses. She knows many tricks---shake, lay down, play dead, sit pretty and bow. There’s a chance she may make an appearance at BTH! Within the next year, I hope to take many classes about feeding to better serve the children and families I see as this has always been a passion for me. In July, my fiancé and I moved to Kansas from Nebraska with our two dogs, Sophie and Sloane. In our free time, we enjoy being outdoors with them. I am a licensed occupational therapist in the state of Kansas and am so excited to be a part of this wonderful community here at BTH! I hold a Bachelor’s degree in Elementary Education (Kindergarten to ninth grade) and a Master’s degree in Education with an emphasis in Special Education. In addition, I have certifications in Early Childhood Special Education and English to Speakers of Other Languages (ESOL). I have worked as an Early Childhood Special Education teacher in two different local school districts for the past 22 years. In addition to my early childhood classroom, I have contracted through a local Infant Toddler program working with children birth to three with developmental delays and their families for the past 21 years. I enjoy working with children in both settings. 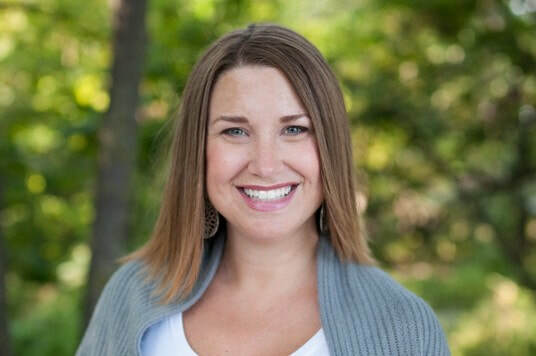 I feel that I have experienced the best of both worlds being in a school district and collaborating with highly motivated and professional therapist, teachers, staff and parents, as well as in homes and daycares working in partnership with parents, grandparents, daycare providers and siblings. I feel children learn best in their natural environment through play and social interactions. I believe that embedding strategies within the child’s routines and daily activities allows the child to generalize and use their skills functionally. One of my passions and area of interest is literacy and phonological awareness. I am pursuing additional coursework in reading specialist certification in the spring from Emporia State University, as I feel it will further my knowledge and experience in supporting and implementing strategies to children who struggle with phonemic awareness skills, reading and reading comprehension. ​I am excited to be a part of the Bringing Therapy Home team and collaborate with other professionals and families to help support children. I have been practicing occupational therapy with children since I graduated from the University of Kansas in 2013. I was fortunate enough to get an internship with the Blue Valley School District where I discovered my passion for pediatric occupational therapy. Upon graduation, I immediately accepted a position with the Blue Valley Early Childhood program, where I continue to practice currently. The more time that I spend working with children in this inclusive setting is that children learn from children and nothing is more powerful than a play based approach. This is why I feel that Bringing Therapy Home is the perfect match for my therapy style. I also worked at Research Medical Center to continue my skills acquisition in working with adults in a more medical based setting. While I truly enjoyed my experience at RMC, my passions aligned more with Bringing Therapy Home. My education at The University of Kansas and career experiences mold my therapy style to be strength based, inclusive, and finding every way possible to generalize important life skills. I realized how that approach can empower both children and families. I have always known that my passion in life was to work with children. My college career started out on the path towards elementary education, but I quickly learned that a more specialized career, that would enable me to work one-on-one with children, was where I needed to be. So began my journey into speech pathology. I graduated with both my undergraduate and graduate degrees from Fort Hays State University. I worked for a local school district for the past 9 years. During this time, I had the opportunity to work on early childhood evaluation teams, private school teams, and at both elementary and middle school levels. I have helped children across a variety of areas, including speech-articulation, language skills, fluency, and social skills. While working, I continued to take college courses beyond my graduate degree. In 2011, I completed the Autism Spectrum Disorders Certification Program through Pittsburg State University. After welcoming our baby girl into this world in March 2017, I decided to take time off to stay at home with her. Bringing Home Therapy provides me with the opportunity to be at home with my family, while also continuing my passion of helping others. I am excited to work with Marena again and to be a part of such an amazing team. I am a licensed Speech-Language Pathologist in the state of Kansas and I am also a member of the American Speech-Language-Hearing Association (ASHA).